Steve and Rujon Morrison are executive directors and co-founders of Healing for the Nations, an international non-profit organization which brings a dynamic message of healing to the Body of Christ. Their unique teaching and creative exercises challenge seekers and believers to enter into a journey of deeper devotion to Christ. In addition to the Intensive Retreats they conduct monthly in the U.S., the Morrisons have also led a number of international conferences and retreats. A few examples include: International Leadership Training Seminars with Youth With a Mission, training for Mother’s Choice in Hong Kong, and retreats and conferences for various denominations and organizations. One example is the Annual Clergy Retreat for the Diocese of Asia at the invitation of Archbishop Moses Tay, Church of England. The Morrisons have also trained and equipped international teams that have enabled the ministry to expand into England, Holland, Germany, Austria and France. Teams have also done training in Singapore, India and Hong Kong. 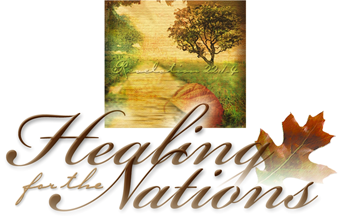 The Healing for the Nations office is in the U.S. in Independence, Missouri. Blue Springs is home for the Morrisons and the retreat venue. They have been married since December 1, 1984. They have six children and eight grandchildren. Rujon combines faith and “real world” common sense to help people encounter heart revelation of God’s truth and love in their lives. She has a unique gift of creatively presenting theological concepts in a way that moves God’s truth from head to heart. From 1980 – 1987, Rujon worked as the Educational Director for the adolescent program at Brawner Psychiatric Institute where she helped pioneer inpatient program models for substance abuse/addiction and psychiatric patients, and also headed the educational department. From 1985 she moved into the position of Clinical Program Director and worked to help pioneer partial hospital programs for NME hospitals nation-wide, using her work at Brawner as the pilot program. In 1988 Rujon moved from secular mental health to a Christian model serving as clinical program director for Rapha at the inpatient unit in Atlanta, Georgia. She then pioneered and directed the first Christian partial hospital program (day clinical program) in Georgia, which received U.S. Joint Commission of Hospital Accreditation. Rujon also served as National Special Programs Coordinator for Rapha Hospitals throughout the United States. During this time, she also served as Educational Specialist and Advocate for the Cobb County Juvenile Court System, one of the largest in the U.S.
As a writer, she has contributed to a number of Rapha Recovery books and workbooks in areas of addiction and codependency. She has also contributed to Search for Significance, Search for Freedom, Search for Peace, and co-authored with Robert McGee, From Head to Heart. As a pioneer of 12-Step Christian recovery groups, Rujon co-authored and led the training program for The Right Step Program—a program which reached into six countries. Rujon and Dr. McGee also teamed to present Search for Significance as a DVD series. Her latest DVD teaching is designed to compliment the workbook, Conquering Codependency. She has also been a contributing author to Christian Counseling Today, the quarterly publication of the American Association of Christian Counselors. As a speaker, Rujon influences a wide range of audiences— church leadership seminars, Christian universities, retreats and conferences—and has spoken in over a dozen countries. She was recently invited to Cambridge University, Ridley Hall, as guest lecturer in the area of spiritual formation and pastoral care. Beyond the Christian venue, she has also conducted couples’ forums for the World President’s Organization. Rujon holds a Masters degree in Evangelism Studies: Leadership, Renewal and Mission with Distinction from the University of Sheffield, England. She has completed 32 hours towards a Masters degree in Leadership and Diversity at Fuller Theological Seminary. She holds Bachelor of Science degrees from the University of Southern Mississippi with honors in the areas of Education, Interrelated Special Education, Psychology, and Science in the area of pre medical studies. Prior to 1990 and his involvement in full time ministry, Steve Morrison enjoyed a twenty year career as systems analyst working for The Southern Company, Coca-Cola, and Contel corporations. During this time he led worship for a number of activities at Mt. Paran Church of God in Atlanta, as well as other retreats and conferences such as Tres Dias and events for Full Gospel Businessmen. 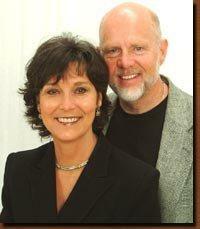 From August 1990 – December 1992, Steve and Rujon served as directors of the Renewal Centre, part of the ministry of St. Thomas Church, Lancaster, England (the Church of England). During this time, Steve led men’s discipleship retreats, worship seminars and developed and implemented men’s retreats for St. Thomas as well as parishes throughout the Blackburn Diocese in England. For the past seventeen years, Steve has served as co-founder and executive director of Healing for the Nations, formerly known as Rapha Retreats. In addition to overseeing HFN, he offers pastoral leadership, teaches, leads chapels and worship, and facilitates small groups during retreats. He is also involved in training new team and implementing programs internationally. Steve has produced two CD’s, the latest based around worship on the Intensive Retreat and is called, Songs from the Chapel– a compilation of liturgy and worship. In 2000, Steve was ordained a priest in the Communion of Evangelical Episcopal Churches (CEEC). He holds a BA from St. Alcuin House, which is associated with the Minnesota School of Theology.